Thomas Williams (Tom Baker) outside his Alun House Bakery at the corner of Well Street and Wint in 1916. 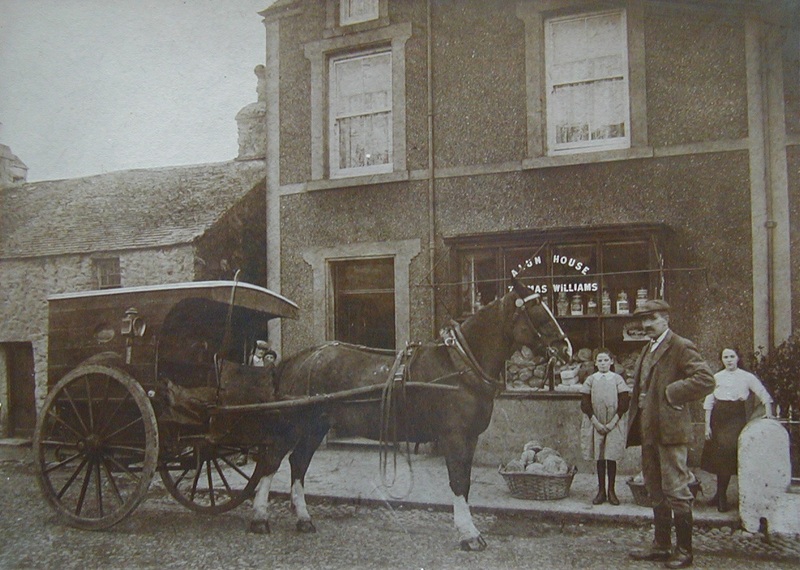 Shown are his daughters Annie and Jennie, and behind the horse (named George) are the bakery employees. Thanks to Tom Williams (Twm Alun House) for the photograph. Tom was named after his grandfather. 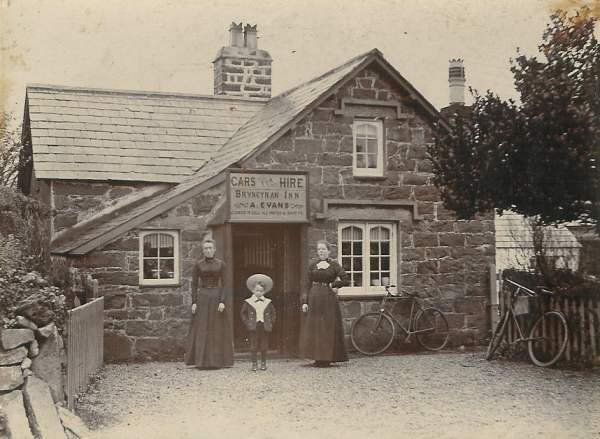 Tom's mother, Annie, and her family lived in Alun House until 1950, and then moved to a farm in Aberdaron. Tom now lives outside Plymouth in England. Bryn Cynan Inn in the late 1910's. 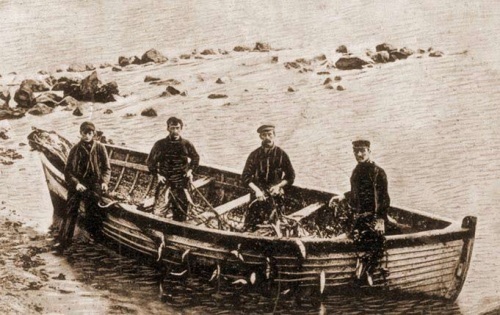 The young man in the photo is John Bryncynan who later lived at Castle on Stryd-y-Mynach, Nefyn. Notice the Cars for Hire sign. 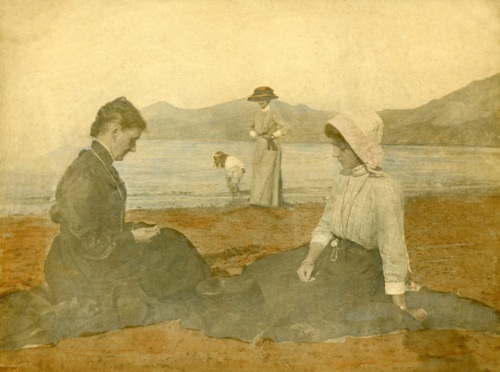 Anne Jones and Lily Crosby on Nefyn Beach. Herring boat with its catch by Creigiau Bach on Nefyn Beach. 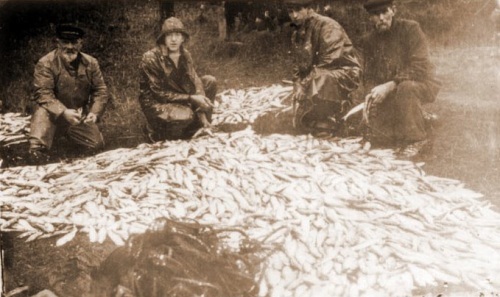 Nefyn herring by the hundreds. 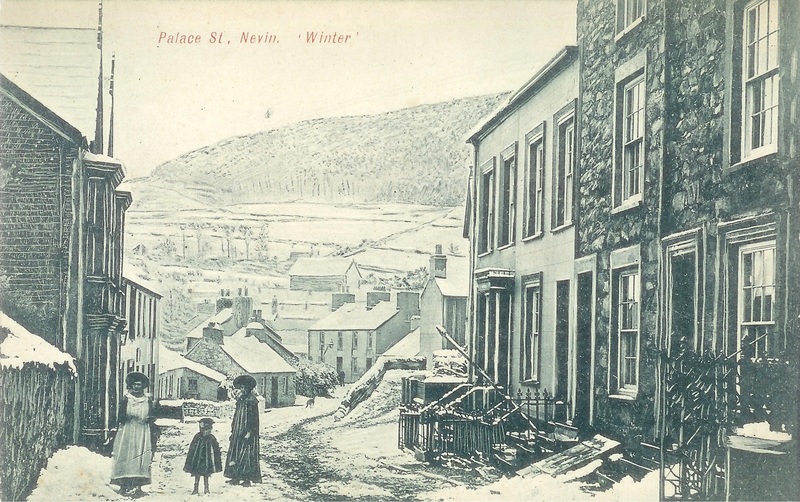 Snow on Palace St. in Nefyn. From J. R. Owen original postcard. 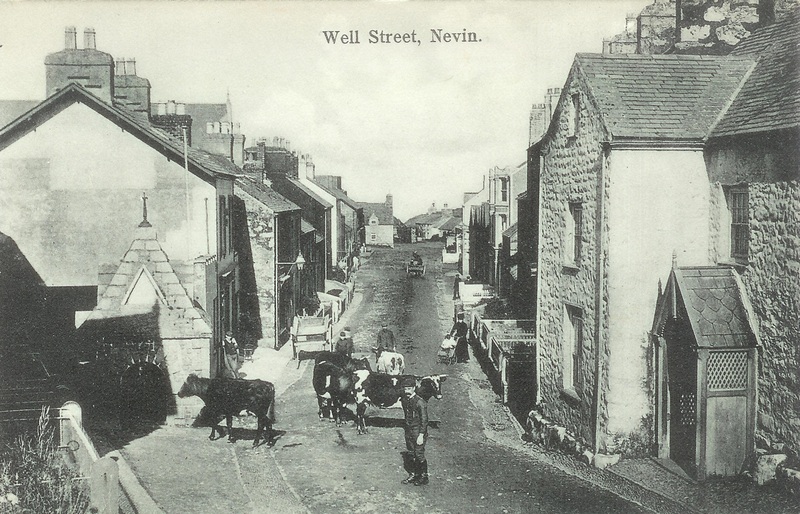 Cows, horses, and carts on Well St. Nefyn.